The grand backdrop to the Thun 9-hole course is made up of nothing less than the stunning mountain trio of the Eiger, Mönch and Jungfrau. 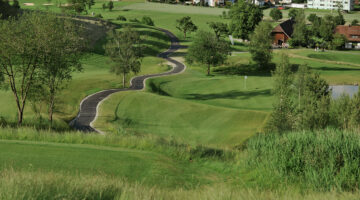 In addition, on your round of golf you are accompanied by views of the imposing Thun castle. 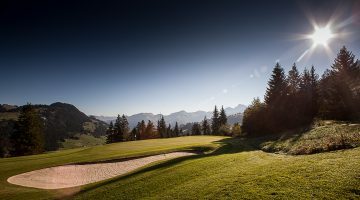 It’s hardly surprising that the range of training options at the Lake Thun Golf Club is so popular, especially for those who take advantage of its 18-hole putting facility and 9-hole pitch and putt. On offer to you is a memorable training experience set against perfect panoramic views. 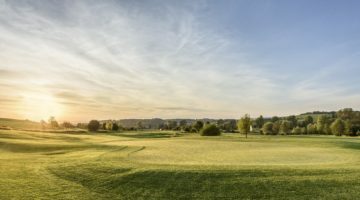 If you would like to experience their many training options, why not visit the Thunersee Golf Club? – the place where fun and training success are one and the same. Driving range till 8 p.m. lighted, with 16 tees, putting green, pitch & putt-course, 18-hole-putting-course.